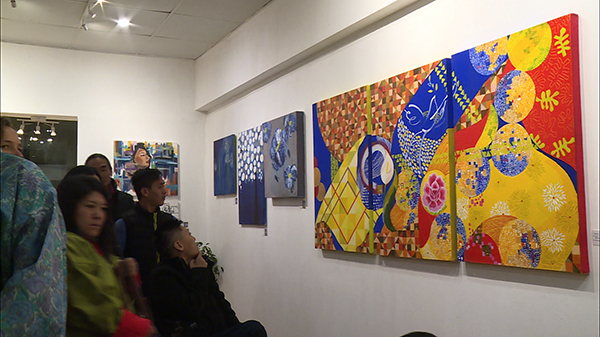 Art works including abstract paintings to embroidery, digital art and clay sculptures are at display at the 4th edition of Her Expression, an annual art exhibition that celebrates local female artists and their works. The exhibition opened yesterday at the Voluntary Artists Studio in Thimphu (VAST) gallery in Le Meridien and VAST studio in Chubachu, Thimphu. Forty eight women artists, some as young as Tenzin Dema who is not even four, are taking part in it. For the first time ever, the exhibition has on display clay sculptures by Bhutanese women sculptors. Lhamo Chozom is one of the sculptors. “In the past, such works were done only by men but now, with the change in time, I feel that nothing is impossible,” she said. The exhibition is an initiative of VAST. It was first held in 2014 and has been an annual event since. It is on till November 24.